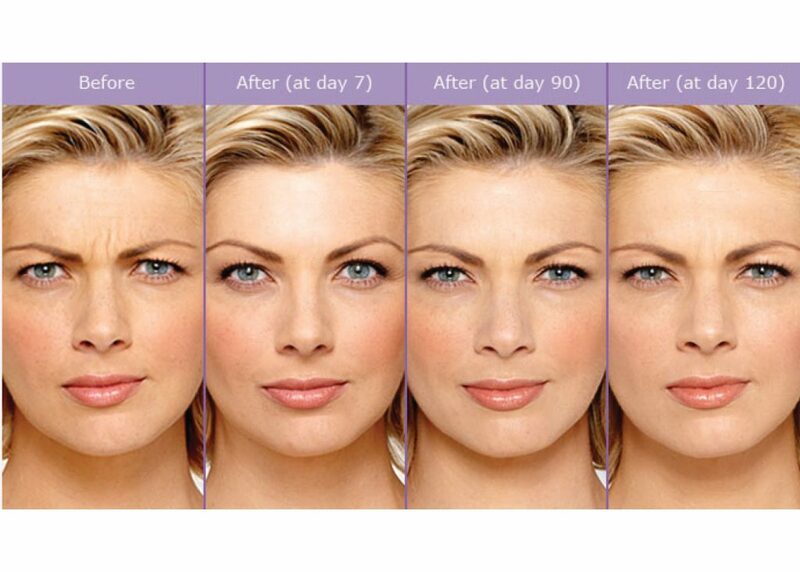 Botox is a wonderful medication and an integral part of any effective anti-aging and whole-face rejuvenation strategy. For years, injection of Botulinum toxin type A (including Botox and Dysport) have remained the number one non-surgical cosmetic medical procedure in the US and around the world – even more popular than dermal fillers, laser hair removal, microdermabrasion or IPL! But being so popular does not mean that Botox and Dysport will always work and yield the desired results. Here, we look at some of the reasons why Botox or Dysport fail to do the magic to smooth out the fine lines and wrinkles! 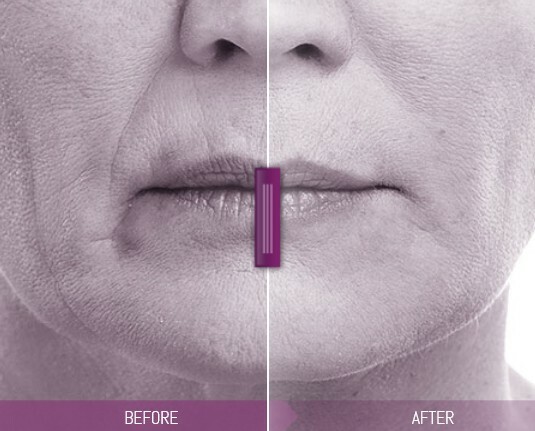 But first, let’s have a look at how Botox and Dysport work. Botox and Dysport are derived from botulinum toxin, a naturally-occurring but potentially lethal protein produced by specific bacteria. It was noted over half-a-century ago that injection of very small and effectively harmless amounts of purified botulinum toxin into muscles can relax them via blocking the transmission of signal from the nerve ends into the muscles for 3-6 months. This discovery led to the birth of Botox, Dysport and other medications in the same category. These medications reduce, remove or prevent the occurrence of wrinkles by relaxing and weakening the underlying facial muscles that are responsible for contracting the skin and causing folds. These folds or wrinkles are initially “dynamic” since they appear mostly when the underlying muscles contract and then they disappear. Through time, these” dynamic” wrinkles turn into “static” ones that just stay and do not go away completely even when the muscle relaxes. Timely treatment with Botox or Dysport before the dynamic lines become static and permanent is key to a youthful and rejuvenated look, and when done skillfully, the natural facial expressions are preserved and only the excessive contractions that are responsible for wrinkles are controlled. Using Botox or Dysport, your doctor at Amoderm can do marvels! In addition to relieving and removing the wrinkles, Botox can be used to reshape face (e.g. jaw slimming, through selective weakening of certain jaw muscles), treat muscle spasms, treat migraine headaches, and even treat and reduce excessive sweating in underarms and other parts of body. Now, let’s have a look at some of the reasons why Botox and Dysport do not work. Botox and Dysport need time to work and set in. Quite often, we see patients who have had Botox or Dysport just a few days ago and they are concerned that the results are not as expected. Our initial advice to these patients is usually just to wait. It may take up to 2 weeks for Botox and Dysport to fully exert their function in relaxing the target muscles. We’ve all heard it from friends if not experiencing it first-hand ourselves: As time goes and people undergo more and more rounds of treatment with Botox or Dysport, some may become more and more resistant to the effect of Botox or Dysport. They may notice that they need higher number of units to achieve the same results as part, or they may see that the results wear off more rapidly than the past. These could be signs of development of resistance to Botox or Dysport. Remember that Botox and Dysport are proteins derived from bacteria and once injected into the body, our immune cells may recognize them as foreign substance and develop antibodies against them. This is a complicated phenomenon and most of the antibodies will not affect the effectiveness of the treatment, but some may eventually interfere with the Botox or Dysport molecules blocking the neuromuscular junction. This is known as Botox (or Dysport) resistance. The good news is that this resistance (or at least, its clinically significant form) is not very common. The other good news is that even when we suspect resistance, we can sometimes manage and avoid it by switching medications. Due to their different manufacturing processing, Botox and Dysport have some differences, and chances are, when a patient develop antibodies again Botox, he or she can still see results from Dysport, and vice versa. Your doctor at Amoderm will examine you closely during your follow up visits and keep track of your treatment results, and she can make recommendations to you on whether you should consider switching between Botox and Dysport. At Amoderm, we always examine our Botox and Dysport patients closely to come up with an accurate estimate of the number of units needed. This is really a medical procedure that requires the clinical judgment of a licensed physician. The doctor takes many factors such as the extent of the wrinkles and the tone of the muscles into consideration. Not following the doctor’s recommendation on the number of units can result in under-correction. Unfortunately, our bodies usually do not follow the same logic of 2+2=4, meaning that you cannot expect to get half of the results by getting half of the recommended dose of Botox or Dysport. 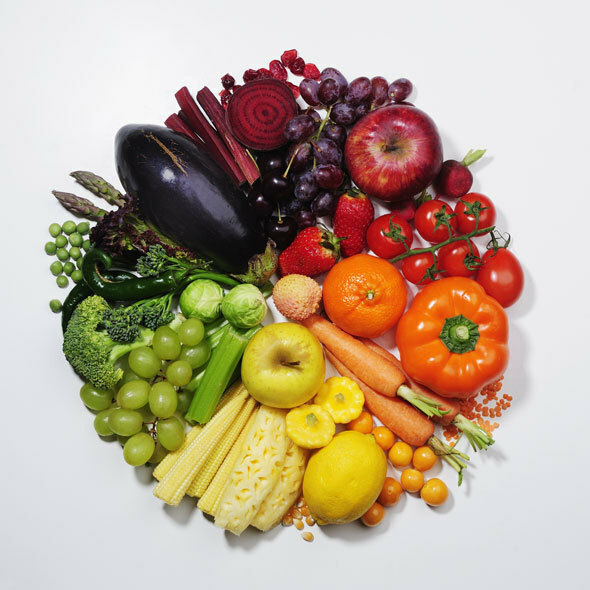 It may not work at all, because the lower dose may not be strong enough to tip the balance against the muscles responsible for causing the wrinkles. Medicine is a fine art and experience is the key. Physicians – cosmetic specialists, plastic surgeons, or even dermatologists – are not routinely trained on how to perform cosmetic injections during their school years and clinical training and it is up to them to get and develop the right skills. On the other hand, our body is a complicated (and at times, unpredictable) system and there is always the possibility of the Botox or Dysport injections performed by the most experienced and skillful physicians not reaching the target and failing to work. That being said, you are much more likely to see good results by relying on skillful and experienced physicians. Dr. Jafari is a board-certified Neurologist and Neuromuscular Specialist and you may remember that Botox and Dysport work by blocking the transmission of signals from nerves to muscles. Being a Neurologist, Dr. Jafari is well familiar with the anatomy and structures of the fine muscles and nerves in the face and she can pick her target areas a lot more precisely. Many injectors primarily focus on specific and pre-set patterns of injection when doing Botox or Dysport without adequate attention to the underlying anatomy. 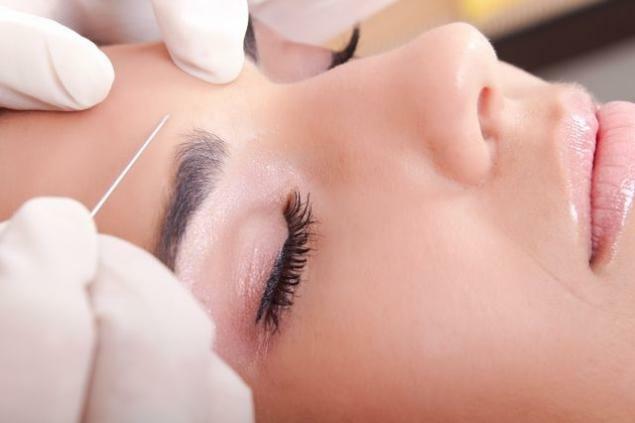 Dr. Jafari focuses on the actual target – the culprit muscles that are folding the skin above them – and places her fine needle at the most appropriate places to deliver Botox or Dysport to their site of action. Compare this to many other cases commonly seen in which non-adequately trained and unexperienced physicians, or worse, even non-physicians such as nurses, etc try to give Botox and Dysport injections. If it’s your body, do you want to take the risk? So that’s it! These are more common reasons why Botox or Dysport may not work in some patients at times. Another thing to remember is to make sure to follow your post-care instructions closely. For example, having strenuous physical activity and exercise after Botox or Dysport injection may reduce the effectiveness of the treatment by a number of mechanisms (e.g. increased blood circulation and flow, “washing off” Botox or taking it to adjacent structures resulting in uneven results). Finally, remember that our body constantly changes and it can react quite differently every time even when faced with the exact same treatment, so a single treatment not achieving the expected and usual results is not unheard of and should not necessarily be an cause for concern as long as there is no specific pattern to it. While in the field of medicine there are never any guarantees, you can still maximize your chances of getting good results from your Botox or Dysport treatment by relying on an experienced and skillful physician who adheres to the highest standards of care with deep knowledge of the fine structures of face, who can perform an in-depth examination of your specific condition to come up with an accurate estimate of the number of units needed for your specific case, followed by performing the injections at right places for maximal effect and least complications. After treating thousands of patients successfully, we believe that Dr. Jafari is that physician. We invite you to call us at 949-266-7346 to schedule you free consultation with Dr. Jafari and allow us to provide you with the highest level of care for your Botox, Dysport and dermal filler injections and other anti-aging and rejuvenating treatments.